As effectively as Homesafe will inevitably deemed as a side project for Ryan Rumchaks’ downtime away from playing bass for Knuckle Puck, there’s definitely something deeper than that here. Formed simply out of a love for making music, their native Chicago scene has fostered such a steadfast interest for this brand of rough, ready emo, to the point where Homesafe’s previous EPs have already netted a lot of traction, particularly for 2016’s Evermore which saw the potential birth of a great new band that could easily transcend the restrictive side project boundaries. The ultimate litmus test, though, comes with debut full-length One, and whether everything that’s made Homesafe stand out in the past can be effectively consolidated into a more substantial listen. And what can be taken away from this the most is that there isn’t a shadow of a doubt that Homesafe could become a genuine force to be reckoned with within their scene; the melodic instincts are unbelievably sound, and the abundance of drive and passion that’s always rewarded within emo. But on the other hand, One is also an album that’s very ready to lay down everything it’s got, and both the sense of bloat and the need for editing are palpable. It’s certainly better than not having enough, but particularly as the album progresses, tracks like Suits And Ties and I Don’t Know How feel as though they’re retreading very similar ground, both to what’s come before and the scores of emo and pop-punk acts who’ve preceded them with a similar sound. When Homesafe really go for broke though, One stands resolutely as having some of the best moments of any emo album released this year. A large part of this is the fervent command of melody that this band have; not only are the likes of Run and Vanilla-Scented Laser Beams among some of the most immediate, ear-catching emo tracks to be released in some time, there’s never a need to unnecessarily wind down or feel any sort of tentativeness, with Rumchaks breaking into impassioned howls when he needs to that come from a place of real intent, and a production job that doesn’t skimp on the much-needed crunch, particularly in regards to more socially-conscious tracks like Sadistic Society. Even on the acoustic-driven Sideways Sleeper, which is significantly more turned-down and melancholy, there’s still a size that’s incredibly admirable thanks to the passion and gusto that’s gone into it. For as much as Homesafe mightn’t deviate from an archetypal emo framework and presentation, they’re pushing forward with gumption, and that’s what ultimately serves One the best. You will here more innovative and diverse albums this year, guaranteed, but Homesafe are making a strong claim for the new band to make one of the biggest splashes. Even if this fairly weighty debut could’ve been pruned back to its best moments for a sharper impact, the best features really are good enough to make it worth keeping an eye on them for the foreseeable future. There’s a great band in Homesafe, and it won’t be long before that comes out. 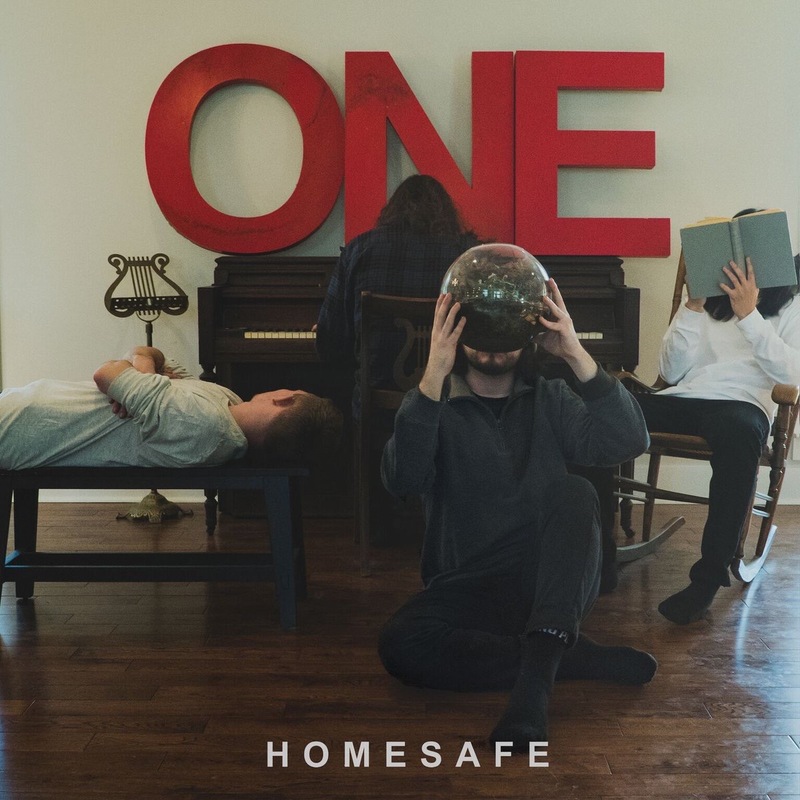 ‘One’ by Homesafe is released on 29th June on Pure Noise Records.